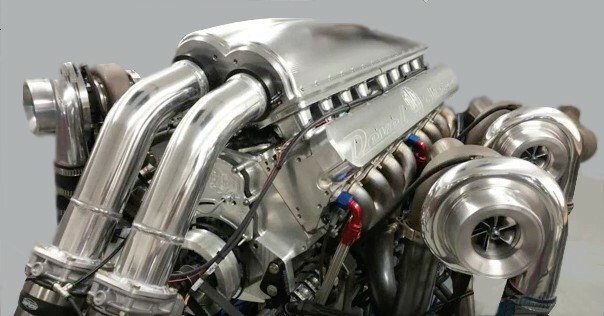 It produces 5,000 horsepower from a 12.3 liter V-16 quad turbo super motor. "Do Ya own a gas station?" Send your mother to the supermarket with this puppy installed into her innocent looking little Prius . . Lol:) rvmann.com/artwork/2819248-Hot-Rod-Hybr?